Well, technically it is the combination of various ingredients mixed and cooked proportionately. The word ‘Mixed’ & ‘Proportion’ are the key terms here. The wisdom of knowing the exact amount of ingredients and the time it should be cooked is what makes you an exceptional cook. That said, it is hard to master cooking skills and even harder to grow confident in it. No one is born a great cook. Although, we learn to eat naturally; cooking great food needs practice. Knowing a few cooking tips can make your food delicious and even makes your whole cooking process smooth. So, to get you started we have enlisted 10 simple cooking activities every cook should master. These activities are your stepping stones in the delicious and flavoursome journey. Most of the cooking items you cook involve chopping. But still many people struggle to master this necessary skill. 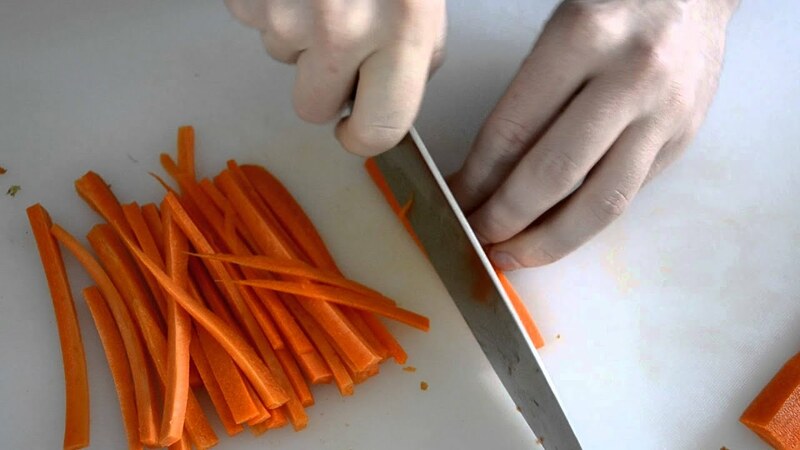 If basic task like chopping a carrot takes forever, no wonder you will feel the whole cooking process dull and drudgery. Learning a few chopping techniques will definitely come handy while cooking, saving you from menial hard work and loss of time. With some practice, you will learn to chop ingredients like a pro. You might want to finish your cooking early and end up filling your pan with an extra amount of food items. Chances are that, heat may get unevenly distributed, thus affecting the flavour and nutritional value. You need to leave space of few inches in order to heat your item thoroughly. 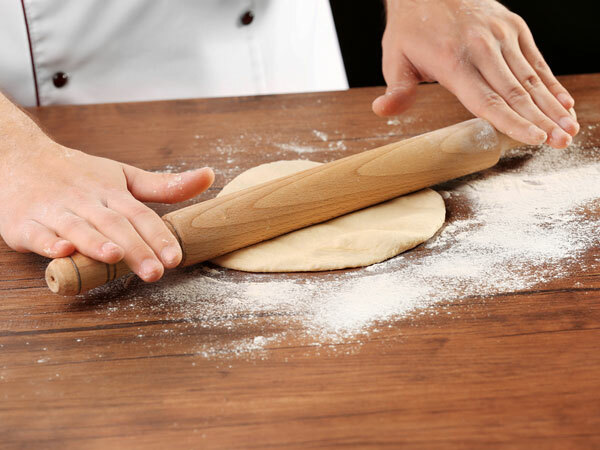 Kneading dough is a daunting task, but believe me, when mastered it’s fun and easy. The secret of taste and texture of chapati or a poori lies in the consistency of dough. Unless you are capable of kneading perfect dough, it’s impossible to roll the perfect roti. Knowing when you can stop kneading is another aspect which needs practice. The trick lies in applying a rhythmic & gentle force that stretches and massages the dough. Making chapatis is easy, but getting a round one is tough. The trick lies in applying equal pressure and giving it a proper direction. It takes some time to get the perfect round shape, even thickness and uniform size. Making roti is a time-consuming process and you may end up getting frustrated. But roti is an essential part of the Indian diet, especially in the northern and central part of India. Roti can be eaten with dal, curry, vegetable and hence it is important for every chef to master this art. When choosing the right cooking oil, it is important to look at the oil’s smoking point and your temperature requirement. Your family’s health requirement should also be taken into consideration. Overheating the oil can release some harmful substances leading to unhealthy consequences. Oils like sunflower oil, rice bran oil, groundnut oil and many more are available in the market. You need to try different varieties before you choose the one suitable for your needs. Spices are the main ingredients to impart flavours to your deliciously cooked meal. When you are first learning how to cook, the number of spices you need to deal with may seem intimidating. There are a group of spices which works great together and there are some who don’t. It is important to know the right combination to avoid any flavour clashes. Different recipes need a different combination of spices but as long as you stay within the same family, you can mix and match. Rice is an item that needs to be cooked regularly. You need to know the amount, the quantity of rice grains required, the absorption method to cook delicious rice. Rice is eaten with dal, curry and forms a core ingredient for many recipes. Hence it is important to be able to cook this delicious part of the meal. There are some food ingredients which you need on regular basis and it is only logical to stock these ingredients in your kitchen to avoid a daily trip to the farmer’s market. But it is also important to learn how to preserve those ingredients. There is nothing frustrating than planning to make your favourite recipe and finding out that all the important ingredients are spoiled. Based on the type of ingredient, the storage method differs and it is important to know the correct method to keep produce fresher and longer. Like for example – For preserving herbs, pour extra-virgin olive oil over it and store them in small packets in refrigerator. Every great cook and a house-party host know the importance of effectively cleaning the utensils. Based on the cooking oil and the type of utensil you use the cleaning method differs. Clean utensils are important for both hygiene and presentation – becomes more important when we take pride in our delicious cooked food. Even though it’s your own territory, it’s crucial to take all the precautions and preventive measures to avoid any catastrophes. Especially when dealing with oils, knives and heat, you need to take extra care. Always keep a first-hand kit near your cooking unit. Also, maintain cleanliness and hygiene around your kitchen. Some important tips include avoid wearing loose clothes near the stove, avoid dangling jewelry, cleaning the spills immediately. Get a fire extinguisher for your kitchen. You should take your best precautions to avoid kitchen fire, but sometimes it may go out of hand. So make sure you know how to use an extinguisher and all the necessary tips while dealing in the kitchen. All in one, the ultimate advice is to have fun while making food. Nothing brings people together than great food. With each practice, your culinary skills get evolved. To become a master chef, you need to know the basics and we hope that these tips are a great place to begin.